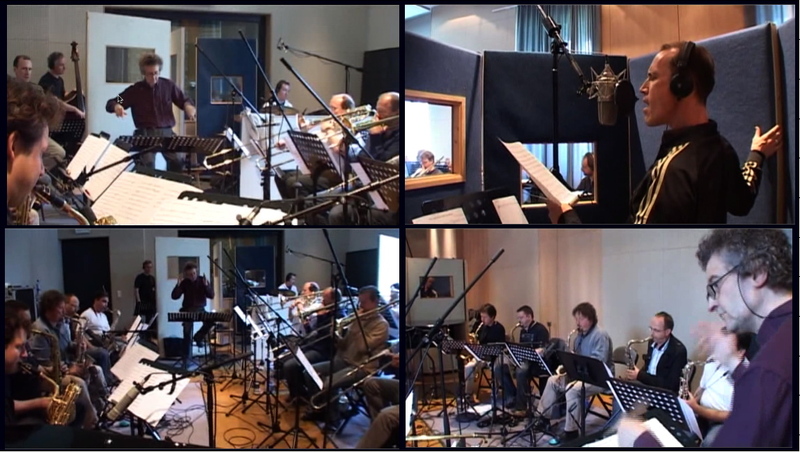 On June 9, 2008, Michel Herr conducted the Brussels Jazz Orchestra recording his arrangement of David Linx's "Fraternity"
to illustrate the values associated with the games. De Bijloke Studio, Ghent (B), June 9, 2008. Screenshots from a video by © Denis Dupont.